Wouldn't it be great if one of your store redesign projects boosted sales, or if one of your design pieces became a best-seller. The Design and Interior Architecture Bachelor’s Degree is a 3-year educational journey to learn how to turn the way people experience spaces into a functional and harmonious project, both for homes and workspaces. This course is acknowledged by the Italian Ministry of Education, University and Research and has full academic value. 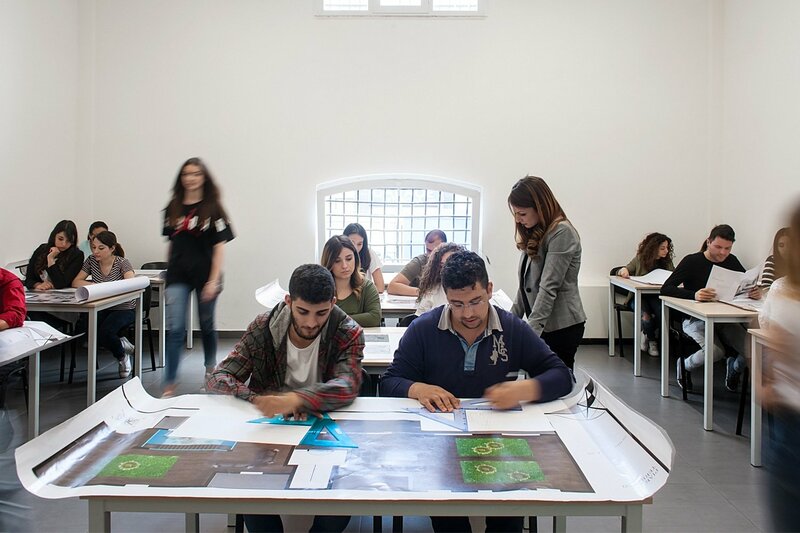 The course aims to build the skills to read users’ needs and behaviours and blend them with social and ergonomic factors, in order to design spaces that can be effectively lived and used. You will learn how to detect and improve the relationship between interior design and the nature of the services supplied in specific spaces. Our study plans are designed to create a thorough training experience where every subject completes the other. Start learning the basics of history of modern art, interior architecture, digital and architectural design, types of materials, marketing fundamentals. You will study in depth the main subjects, then learn how to manage design and 3D modelling from a technical point of view, and how to manage client relationships. Understand connections between people and places, learn to design for sustainability and understand the basics of interior design regulations. Our teaching method stimulates engagement and active learning. Students can experience and learn in an ever moving open lab, with actual projects and role-playing activities. 30% Lectures, classroom activities, reading and studying, 70% Practice, labs, creation and presentation of personal projects, workshops. For your final exam you will prepare an artistic and planning thesis, including a design and a short essay agreed with your lecturer. After the academic course you will be able to prepare and take care of an interior design during all its stages, from planning to implementation. The Design and Interior Architecture Bachelor’s Degree will allow you to work as a self-employed professional or in visual merchandising and outfitting companies and design studios specialising in transformation of industrial buildings.